What makes us the best choice for your inspection services in the Upper Ohio Valley? Our goal has always been simple and has remained unchanged for over 25 years of service. Saving Lives One Home at a Time®. Mountain State Inspections LLC is the local expert for home, radon testing and mitigation and more. We proudly service Wheeling and all of West Virginia, Western Pennsylvania & Eastern Ohio. Whether you’re buying or selling a home, you’ll want to hire an Certified and Licensed Professional Home Inspector. As a member of the International Association of Certified Home Inspectors, I represent the best-trained and most highly qualified inspectors in the business. I live and work right here in Wheeling WV. I have been Certified Master Inspector® with over 6,500 inspections. With hundreds of satisfied customers, our company is known for delivering quality service and ability to communicate and delivering quality service. Mark Bonar, Owner and Inspector, has been a home inspector since 1994. We have performed over 6,000 home and radon inspections in West Virginia and Ohio. Mark has completed thousands of residential and commercial building projects, which provides a unique perspective of the commercial and residential inspection market. Mountain State Inspections LLC serves the Tri State Area, Northern Panhandle of West Virginia, Eastern Ohio, Western Pennsylvania and all surrounding areas and communities in and around Wheeling, WV. Mountain State Inspections LLC provides thorough, accurate, and professional inspection services, wood destroying insects (termites), radon gas testing, and mold testing for realtors, contractors, home inspection clients. 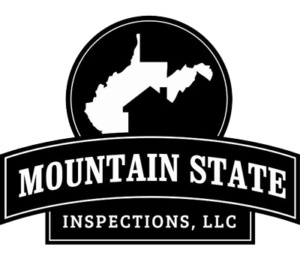 All business associates recognize the value of having a well qualified licensed home inspector to deliver a high level home or commercial inspection, and Mountain State Inspections LLC is positioned to be there for you. Certified Master Inspectors (CMIs)® are the best inspectors in the world. 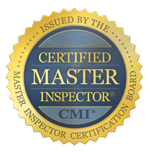 CMI is a professional designation available to all qualifying inspectors who wish to become Board-Certified by the Master Inspector Certification Board. All CMIs are experienced, dedicated to education, and have a proven record in the inspection industry. All CMIs have completed at least 1,000 fee-paid inspections and/or hours of training and education combined. All CMIs have been in the inspection business for at least three years prior to becoming Board-Certified. All CMIs abide by the inspection industry’s toughest Code of Ethics. All CMIs have completed professional education prior to being approved. Not everyone can become a Certified Master Inspector®. 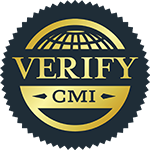 Hiring a CMI means hiring the best. Mark is absolutely wonderful to work with! It is a pleasure each and every time we get to do business with him! Mountain State Inspections LLC serves the Tri State Area, Northern Panhandle of West Virginia, Eastern Ohio, Western Pennsylvania and all surrounding areas and communities in and around Wheeling, WV. Mountain State Inspections LLC provides thorough, accurate, and professional inspection services, wood destroying insects (termites), radon gas testing, and mold testing for realtors, contractors, home inspection clients.